This post may seem off, since this is generally a travel and food blog, and I'm neither a beauty blogger nor a beauty expert, however I have learned how important it is to take care of the skin especially to people who often explores the outdoors. Our skin is the largest part of our body and when travelling, it gets way more exposed to pollution and most of all, the heat of the sun. That is why consistently following a skincare regimen is very essential to help maintain a healthy skin. BUT the thing is, most of us would think that having a skincare routine is an expensive vice. I somehow agree to that but nowadays, there are already a lot of stores where you can buy affordable yet effective products. We have BeautyMNL for one. Back then, my one and only go-to store for beauty and skincare products is Watsons. First, because of course it's a physical store so it's very convenient for me as I kind of hate paying for shipping fees. Two, because they have quite a lot of products that I can choose from. But when BeautyMNL was launched, I have been window shopping on their website ever since. And when I received an invitation to collaborate with them, I took it as a sign. That when my BeautyMNL shopping experience would be awesome, I'd be a loyal customer. Anyway, I'll share to you the products that I bought first. 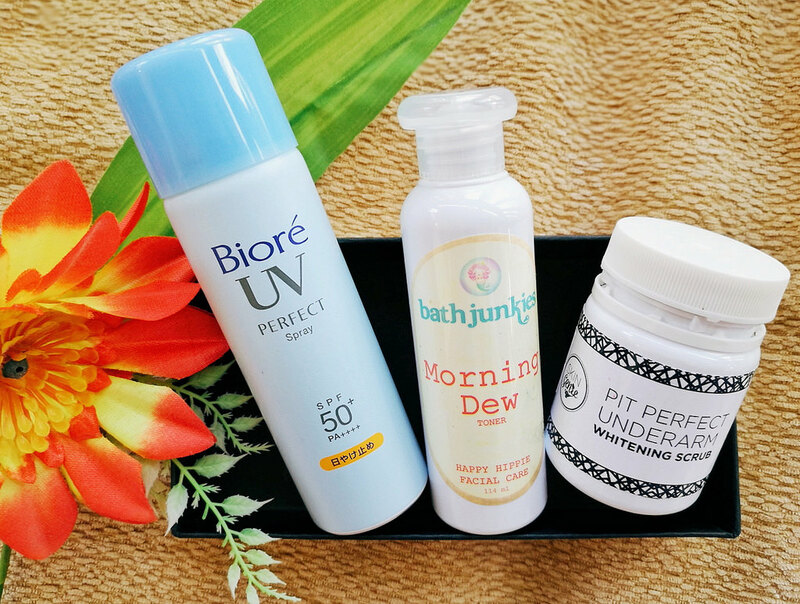 Biore UV Perfect Spray - Back then I never knew that using sunscreen or sunblock is very important. I only used them whenever we're going to the beach. But it was only a few months ago when I realized how we should prioritize sun protection. The very first sunblock that I bought was the lotion kind of sunblock. I loved using it but I have always been curious with the spray types. So when I saw this, I knew I had to get it. This was the very first item I added to my cart. I use this Biore Perfect Spray a few minutes after I put on my lotion. My lotion already has an SPF but I spray this only to the parts that gets exposed to the sun - my arms and my feet (since I wear ballet flats almost all of the time). I love its light finish and it easily gets absorbed in my skin. Skin Genie Pit Perfect Underarm Whitening Scrub - I don't have celebrity underarms but I don't have very dark underarms too. My underarm problems are a few visible lines, slight chicken skin, and some dark spots. I previously used a different brand of whitening scrub but the beads were too harsh for my pits. So when I saw this another all-natural product, I instantly added it to my cart. The positive reviews also made my decision firmer. This scrub is very gentle to my skin and I love how it keeps my underarms smooth even after days I have used it. I use this every three days since that's the schedule I set for an overall body exfoliation. So far, I'm loving this product as well that I decided to make another purchase from the Skin Genie brand. I bought the perfect partner for this, which is the Skin Genie Pit Perfect Underarm Whitening Cream. I'm still waiting for my second order to arrive and hopefully it would really work! Skin Genie Apple Cider Vinegar Soap - I have heard tons of positive feedbacks about how Apple Cider Vinegar itself is very effective in lots of ways. I wanted to try an Apple Cider Vinegar toner but I don't know, I chose to buy this soap instead. There were a lot of positive reviews about this soap that made me buy it as well. I had no high hopes of this soap and I can't say that it's really working for me yet (since it claims to whiten and prevent acne). Hopefully I can see results after finishing the whole bar. What I loved about this soap by the way, is it doesn't give me a stinging feeling and it doesn't dry out my skin. I have been using this for a week now and I haven't had breakouts yet but the pimples on my face prior to using this soap are very much still alive. 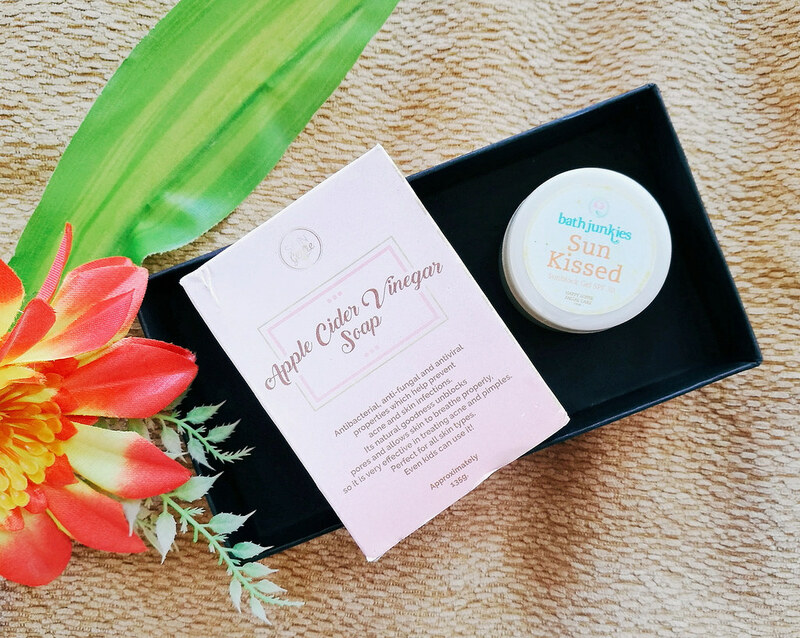 Bath Junkies Sun Kissed Sunblock Gel - I knew about this product from a boosted post by BeautyMNL on Facebook and led me to their website with an article featuring this sunblock. I read the comments and a lot of people claimed to love this product. So I really searched for this product and immediately added it to my cart. I actually love this sunblock because it's in a light gel form which is actually perfect for oily skin. This product is definitely a must-have. Casa de Lorenzo Peppermint Cleansing Castile Soap & Unscented Moisturizing Castile Soap - I did not notice on the Checkout page that there were freebies included but I received these two samplers of Castile soaps. I first used the Peppermint variant and gosh, I love it! The cooling effect is awesome! I let my sister, mother, and my partner try it and they were amazed by it too. I haven't tried the other soap but it claims to highly moisturize the skin to make it softer and smoother. But if I were to buy the full size, I'd choose the Peppermint one! How's my overall BeautyMNL shopping experience? I'm very much satisfied with the products that I bought from BeautyMNL but I had a slight hiccup with the processing and shipping of my orders. It was July 4 when I made my purchase. On July 6, I received an email from them saying that two of my orders were nearing their expiration date (I bought the Spot Me Clear and Fair Me Up soaps), so they offered me with two options. One, is to look for another product worth PHP 80 (each soap only cost PHP 40) and two, they'll provide with me PHP 80 worth of non-expiring credits instead. I chose the latter. On July 12, I still haven't received my package and good thing, Den (the PR who contacted me) emailed me first asking if I received my package already. I told her I haven't yet and I wasn't expecting that it would take so long. She asked me to email their customer service and on that same day, I emailed and received an immediate response. Unfortunately, they emailed me the same thing only that time, they told me that the soaps are out of stock. The next day, they apologized for the miscommunication and they informed me that my package is scheduled to be shipped on that day, July 13. I finally received my package last July 17 and I couldn't be any happier! But hey... I love BeautyMNL! What I love about BeautyMNL is they really support the local brands and they have this online magazine called Bloom where you can read loads of beauty and skincare tips. I am subscribed to their newsletter and I really take time to read their emails especially when they send out their recommended products and tips from Bloom. I love reading Bloom because I discover new products I'd love to try, read reviews about those products, and learn a lot of things about makeup and skincare. This is where I read about the Bath Junkies Sunblock Gel too. So if you have any doubts about a product or if you simply want to learn basic skincare tips, read the Bloom magazine and be enlightened! 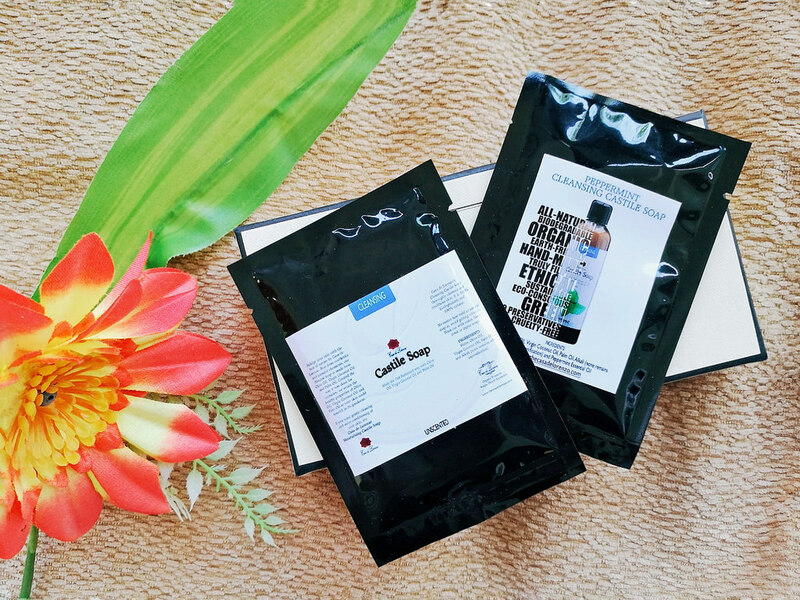 BeautyMNL is definitely a perfect place when looking for beauty and skincare products. Earlier I mentioned that I'd be a loyal a customer if I loved my experience... well, of course I will be! 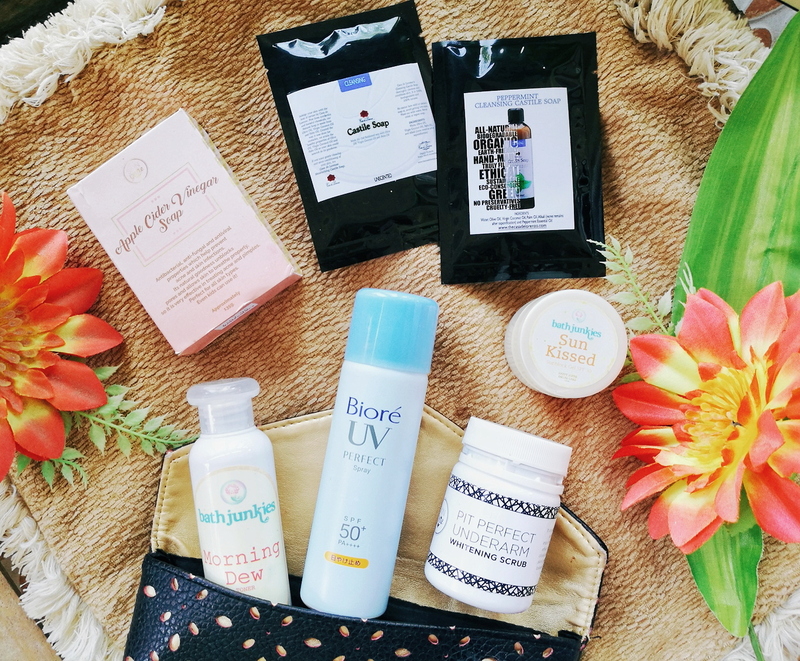 Despite the minor issue, I would still support BeautyMNL and the local brands! And I can't even wait for my second package to arrive!!! Disclosure: This post is in collaboration with BeautyMNL however, all opinions expressed are mine. Nice! Tell me sa imo reviews sa apple cider vinegar soap janine. taas sad bya iyang ratings sa beautymnl.Try ko order sa bath junkies nga toner. Naka order nako sa bath junkies nga toner janine. Ganahan ko kay di sya dry ig after apply. Smooth kayo imong face walay stingy effect. Amazing! Hahaha! Ang problem sa ako ang nag deliver. Dali raman sya mga 4days kay nilabang mag weekend. Mao to nightshift man ko. So taga office ra ang makadawat sa akong product. Ahak kaayo kay nagpanaug siya ubos sa TGU tower. Iyang gipanaug among HR. Kay di daw sya ka biya sa iyang motor naas ubos sa building kay badlongon daw sya sa guard hahaha! Diba? Ganahan kaayu ko sa toner lage! Muorder ko balik soon! Hahaha. Medyo minimal na lang ang chicken skin sa arms ko! I'm using the pit perfect scrub and cream and hopefully I can really see visible results sa whitening once maubos na ang first bottles ko! Haha.